I could heap many praises on Twitter, but I’m going to list one for today. It’s the fact that Twitter presents a forum in which writers AND publishing folks (like myself) get to meet virtually, chat about all-things-publishing, and of course be able to show off our offbeat personalities. This is one of the main reasons The Red Sofa Chats were established, and it’s has already been a wonderful experience. So enjoy! For the next two weeks we’ll be answering questions about young adults entering today’s publishing industry. Post your questions and thoughts. 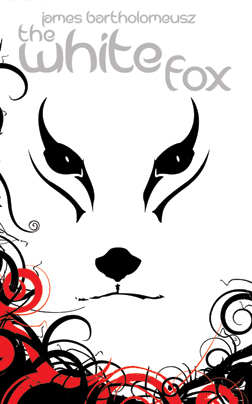 A random name will be drawn from those comments, and that person will receive a free copy of THE WHITE FOX by James Bartholomeusz (the 1st YA-YA release). 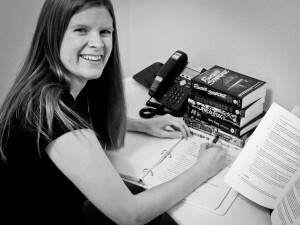 Emily Steele is the editorial director at Medallion Press, an innovative book publisher based near Chicago in Aurora, Illinois. In addition to its adult fiction and nonfiction lines, Medallion Press has launched an imprint for teen authors and readers called YA-YA and a revolutionary digital reading platform called TREEbook™. Emily works from her home office in sunny Los Angeles, where her husband works in the feature animation industry. 1. Why did you choose to work in publishing? At about five years old while walking home from school on a crisp winter day, stepping on the ice and watching the leaves press through, I knew I was a character in a ginormous author’s story. Only now do I realize that was probably because of the ridiculous number of times my parents must have read Ezra Jack Keats’ The Snowy Day to me and my three siblings, whetting a voracious appetite for story in all of us. I spent summers avoiding the boisterous activity in my house by opening quiet books on the porch, which looked out on a street in the smallest town you can imagine in the middle of America. From there I learned about people who lived far away or long ago and in conditions completely unlike my own. Every story made its mark, reflecting and then shaping me. I knew this deep human connection was something that only the written word could achieve, and I wanted to be a part of it any way I could. Encouraged by my high school counselor, I pursued a degree in secondary English education, but I always knew I was too soft-spoken to be an effective speaker even in a small classroom. When a low-paying proofreading position opened in a publishing house soon after I earned my BA, I accepted it with the greatest sense of relief and excitement. I opened the Chicago Manual of Style and put my red pen to a thick stack of pages for the first time thirteen years ago. I’ve worked in an editorial capacity with book publishers ever since. 2. Are there any projects you wish you could have edited and/or worked on? No, but I would love to get my hands on a collection of edits of various works to learn from. Some authors whose edited works I’d especially like to see are Matthew Gregory Lewis, Zora Neale Hurston, J.D. Salinger . . . Oh, just send them all to me, please. The weekend after Ray Bradbury’s passing, I read Fahrenheit 451, and it rejuvenated my passion for books and for life. I’ve also been listening to Les Misérables on audiobook while working out every day—er, most days. (Audiobooks make tedious squats and sit-ups so much more endurable.) I’m also reading The Help by Kathryn Stockett, Ready Player One by Ernest Cline, and How to Write a Damn Good Thriller by James N. Frey. Okay, that last one is helping me do my job, but it’s fun too. What I love about Twitter is the community of readers, writers, and word nerds I’ve found. They inspire me and point me to great books and resources I may not have discovered otherwise. Twitter also breaks down a wall between readers, publishers, and authors, facilitating connections and conversations. That’s what I love most and what I see shaping the industry. I see huge potential for kids growing up with this sense of community surrounding books. They’re able to follow their favorite authors and learn tricks of the trade from people in the industry. What kinds of prolific readers and writers are developing here? I can’t wait to see. I think we’ll be reading on digital devices almost exclusively. Some books will have more dimensions and be more interactive. Writing will flourish, and more community will develop around books. Bibliophiles will dominate the world. To our readers, let’s get this figurative party started. Do you know young adults who are hoping to get their books published? How has the experience been for them thus far? How do you see publishing being affected as this new crop of young writers join an already thriving industry? We can’t wait to hear your thoughts. . .
Hi, Emily! Here’s my question: is there a quality you think the best teen writers have? Hi, Jennie! That’s a great question. One of the qualities I’ve noticed in the best authors of all ages is a balance of confidence and humility. Great authors have the confidence to take risks and execute their creative vision, and they’re humble enough to keep improving. Hi Emily, I know several teen writers and have run a few teen workshops. The one question I get is “how do I know it good enough.” I respond by telling them that they just need to put their work out there and listen to critiques. What else would you recommend to teen writers? That’s a really tough question, isn’t it? In a 1956 interview, William Faulkner said, “. . . none of my work has met my own standards” (The Paris Review, http://www.theparisreview.org/interviews/4954/the-art-of-fiction-no-12-william-faulkner). Just think–one of the most loved authors in American literary history never felt his work was good enough. Every artist knows this feeling. Here is how Faulkner resolves this sense of inadequacy: “In my opinion, if I could write all my work again, I am convinced that I would do it better, which is the healthiest condition for an artist. That’s why he keeps on working, trying again; he believes each time that this time he will do it, bring it off. Of course he won’t, which is why this condition is healthy” (ibid). Your advice is excellent. Writers should listen to critiques and assimilate what resonates with them. They should study the craft of writing and self-editing (so many excellent resources online and in books), read a lot of excellent writing, and keep writing. How do you know it’s good enough? If you listen to Faulkner and others like him, I guess the answer is really, “You don’t.” But that’s what makes you an artist, so take a risk and put it out there anyway. We’re waiting to hear your voice, your story, so keep writing, keep sharing your work, and keep growing. Are you seeing a stronger interest in teens for eBooks or print or is it a fair divide? What makes TREEbook a unique platform for digital and what’s the ultimate goal of it? Hi, Erik. At this time, our YA print sales are slightly higher than e-book sales, but it appears e-books will soon outpace print. Hi Emily – I’m really interested in the TREEbook technology, so sorry that my questions are just about that. Do you think it’s as “true” to an author’s vision to have multiple diverging paths? And I’m a big lover of videogames, and in some ways this reminds me of an RPG – how do you think a reader will experience a disconnect between the character that they might be trying to intentionally create (through the sort of meta-reading) and what the author is dictating? Thanks for the question. This platform requires out-of-the-box thinking from the author, and each TREEbook™ will be true to the author’s vision. The story will branch passively, not based on the reader’s choices but on his/her reading habits. The possibilities for the story paths (called “branches”) are endless. An author may have a character make a choice that results in two (or more) possible outcomes, one of which each reader will see. In some branches, the author may show a scene from varying points of view or extend a scene. These are just examples, but authors will be able to push their creativity further than they ever have before to use the platform tools to their fullest potential, and readers can enjoy lively discussions about their experiences of the author’s grand design. I hope this helps! See http://thetreebook.com/faq-info/ for more details. In my years of reading YA (20-30 years ago) the authors of the genre were usually women well beyond their teens and 20’s. As more young writers, male and female, are entering the scene, what themes are coming forward that have not been explored before? Beyond trend, what do you see young adults today are burning to write about and share? Hi, Michelle. Thanks for the great question. We’re seeing YA writers of all genres (from realistic to fantasy to paranormal) addressing issues teens are grappling with today: friendship, loyalty, betrayal, grief, depression, personal sacrifice, parental alienation, discrimination, surviving abuse of all types, and finding one’s voice/power. It’s exciting to see each author’s fresh take on these universal themes.